- Check the Treasure Chest to find cover/tracklist/informations about rare Dan Sartain Records such as Romance in Stereo as well as free tracks. 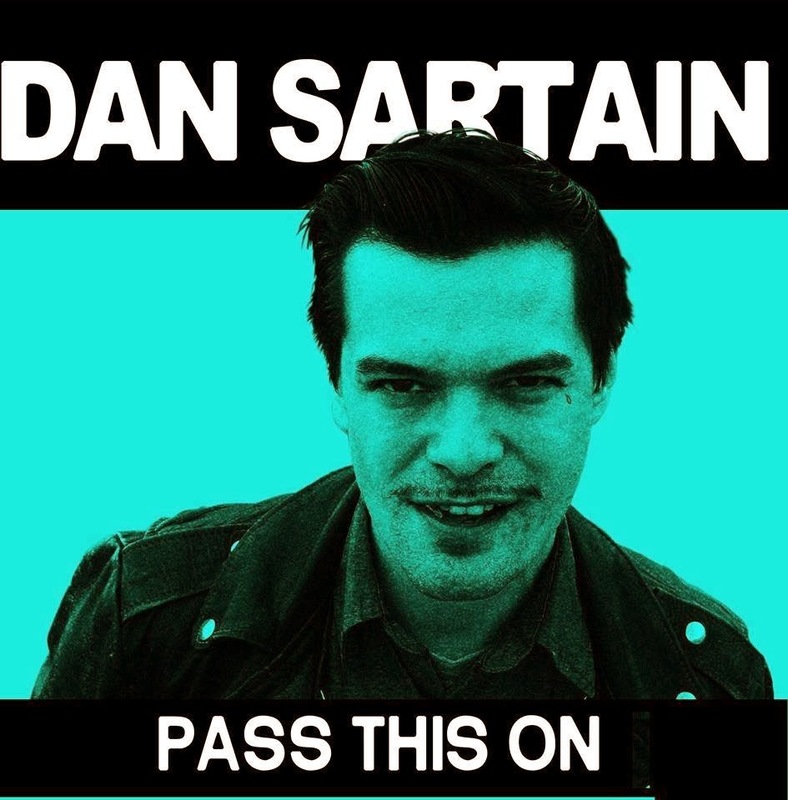 You want to have a taste on how the new Dan Sartain LP may sound like? Then watch the Spectra Sonic Sound Sessions Dan recorded last July at the Syndicate Lounge in Birmingham, Asl. A new Dan Sartain album will be released by One Little Indian records in 2016. Dan Sartain Sings preorder sale resumes tomorrow! The sale was going great but it seems like my paypal account reached its limit as non validated account (there are limits in the Europe). I sent them all the documents some times ago and I hope they will lift up the limits soon. 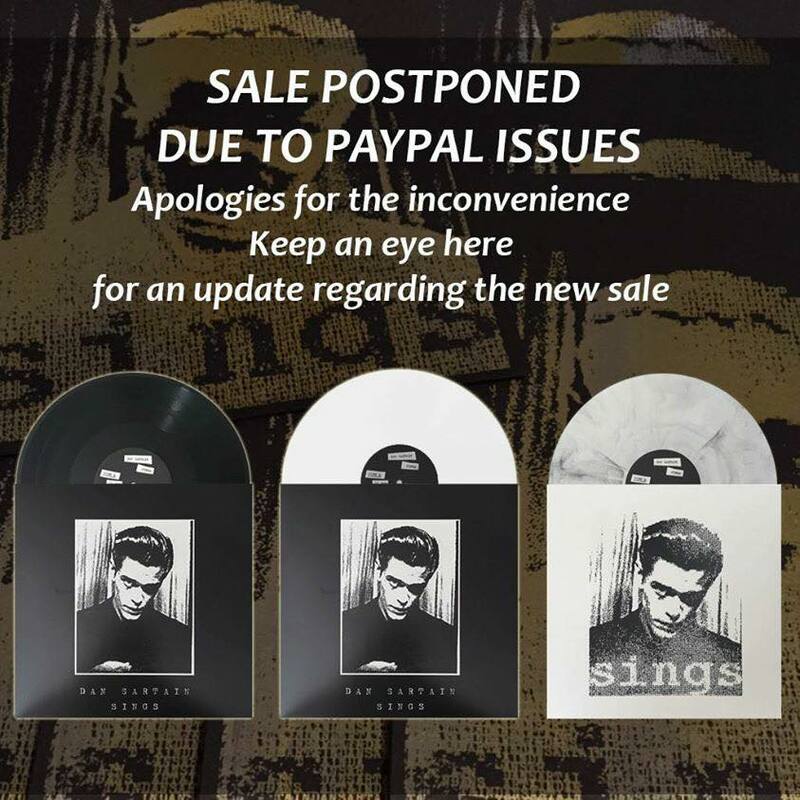 Sale is postponed for only a few days I hope! 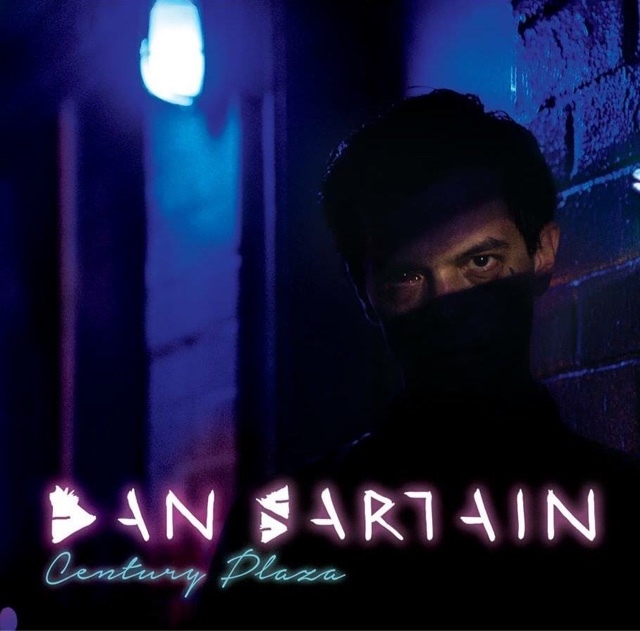 Dan Sartain Sings album vinyl release!!! I'm kinda exited to announe that my label will release the vinyl version of Dan Sartain first album, Dan Sartain Sings! The preorders will start next week! - marble grey edition with alternative screenprinted cover, lim and numbered to 110. Only 60 copies of the screenprinted edition will be available! Dan Sartain Vs Serpientes and Dan Sartain Lives VINYL available for preorder!!! One Little Indian records finally decided to press both Dan Sartain vs. Serpientes and Dan Sartain Lives on vinyl! It seems likes the records will feature alternative cover. Dan Sartain wrote some exclusive tracks for the Xbox game Sunset Overdrive soundtrack. "A few months back I was commissioned to write some music for a videogame called Sunset Overdrive. They asked for "Punk music with cursing". I asked for a guitarist that can shred like Van Halen or Michael Angelo Batio. They delivered, I delivered. The results are favorable. I wish they turned up guitar shredder guy in the mix. I want more work like this." I'll try to make some article about each of these releases and post pictures! This is my first album ever. There were only 20 or so copies made. Kiley Jackson and I recorded this in a double-wide trailer in rural Alabama in the year 2000. 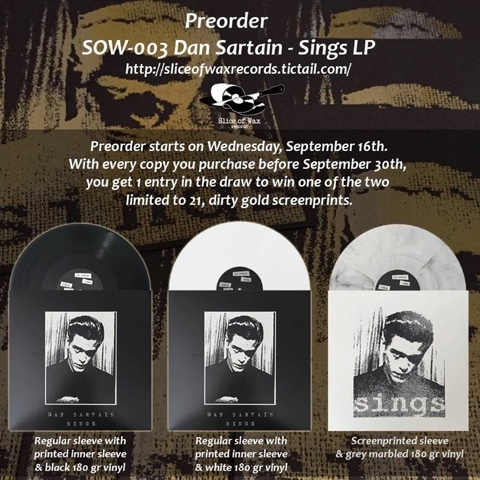 Dan Sartain's side project - The Grave Walks 7" preorder is up! 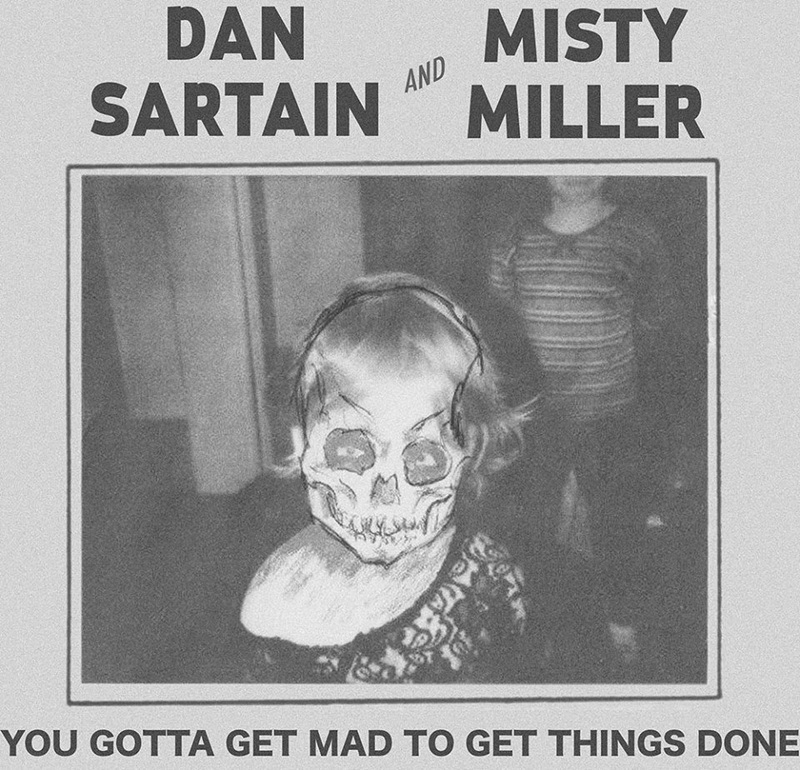 Hurry up and pre-order Dan Sartain side project new 7"! The Grave Walks. 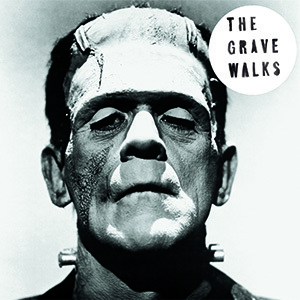 THE SIDE PROJECT OF DAN SARTAIN AND JACOB TURNBLOOM (MRS MAGICIAN), THE GRAVE WALKS' PREMIERE RELEASE IS COMPOSED OF TWO TRACKS OF ETHEREAL DESERT ROCK. BATHED IN REVERB AND PROPELLED BY A SKELETAL BUT HYPNOTIC DRUM PATTERN, THE A-SIDE "SHES A SUICIDE" IS A HAUNTING YET CATCHY GEM OF A SONG THAT DRAWS AS EQUALLY FROM NICK CAVE AS IT DOES SAM COOKE'S CLASSIC HIT "SUMMERTIME". "TERESA, I LOVE YOU", THE SINGLE'S B-SIDE, SLOWS DOWN THE PACE BUT KEEPS THE HEAVY ATMOSPHERE AT AN ALMOST SUFFOCATING LEVEL. 150 OPAQUE WHITE, 150 SEE-THROUGH GREEN. 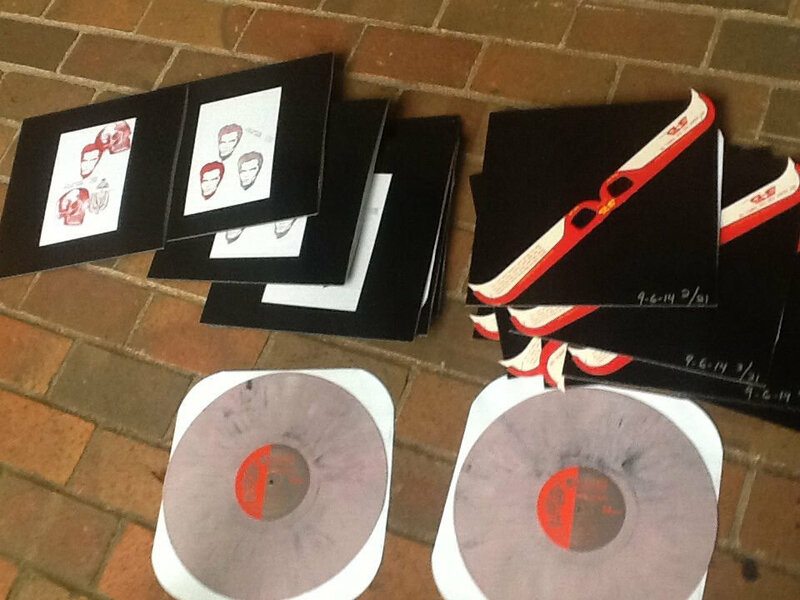 Dan is selling some copies of a new repress of the 2012' reissue of Crimson Guard on Cass records. It's pressed on random colored wax so grab one HERE while you can! Keep an eye on Windian Records' facebook page or webstore as they announced that the pre-orders for the Grave Walks limited edition of 300 colored 7"s will be up this week. The Grave Walks is a band featuring Dan Sartain and Jacob Turnbloom or Mrs Magician ! Dan Sartain's Romance in Stereo available on vinyl! The long time sold-out self-released Romance in Stereo album was just released on vinyl on Shed House records. The album is available on black (limited to 50) or pink (limited to 250) colored vinyl on Shed House records store. Act fact because this album is awesome and this is a limited pressing. Dan Sartain revealed on facebook the artwork of the first 7" from Dudesblood, his upcoming album on One Little Indian. Work by Hayley Grimes. New Dan Sartain album DUDESBLOOD is up for preorder! You can preorder the new Dan Sartain's album Dudesblood on One Little Indian's website HERE. Dan Sartain follows his 2012 album ‘Too Tough to Live’ with an altogether more eclectic proposition in the shape of DUDESBLOOD. Across its 10 songs Dan careers between the paranormal John Ford C&W of ‘Marfa Lights’ to UK anarcho-punk (‘Smash The Tesco’) and a truly inspired take on The Knife’s ‘Pass This On’ – which also happens to be the album’s lead single. 12" vinyl includes MP3 download card. Dan Sartain and Jacob Turnbloom present: The Grave Walks! 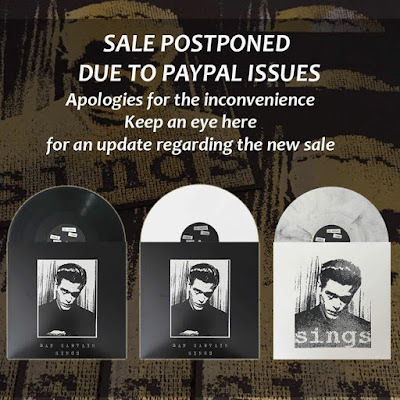 Seems like in 2014, they will release a 7" on Not Just Religious music and a LP on Casbah Records. He Touched Me: New Dan Sartain acoustic cover songs album now available on bandcamp. Check Dan's bandcamp page to listen to and buy his acoustic cover songs album. This acoustic covers project took a little over 24 hours to complete. Very minimal. The album is titled "He Touched Me" and it includes cover of songs originally performed by artists such as the Everly Brothers, Flesh Eaters, Dead Milkmen, the Ramones, X, Roy Rogers and the Sons of the Pioneers, and the Wipers. All proceeds will be donated directly to the Travis Jackson Memorial fund. Travis was the founder of the Windian record label out of Washington DC. He was a champion of great music and will be sorely missed. He was a father and husband. This fund goes to them. He Touched Me: New Dan Sartain acoustic cover songs album! This Tuesday I'll be releasing a new album of acoustic cover songs via bandcamp. The project has taken a little over 24 hours to complete. Very minimal. The album is titled "He Touched Me" and it will have songs originally performed by the Everly Brothers, Flesh Eaters, Dead Milkmen, the Ramones, X, Roy Rogers and the Sons of the Pioneers, and the Wipers. All proceeds will be donated directly to the Travis Jackson Memorial fund. Travis was the founder of the Windian record label out of Washington DC. He was a father and husband. This fund goes to them. See you Tuesday.